OK... it has been ages since I last updated this blog :( . No excuses here, but I have really done a lot of travelling. I will try to catch up and have some posts about what I have been up to. First here are some animation snippets for a project that I helped out with. Character Animations - Love Every Drop from Brian Neong San. 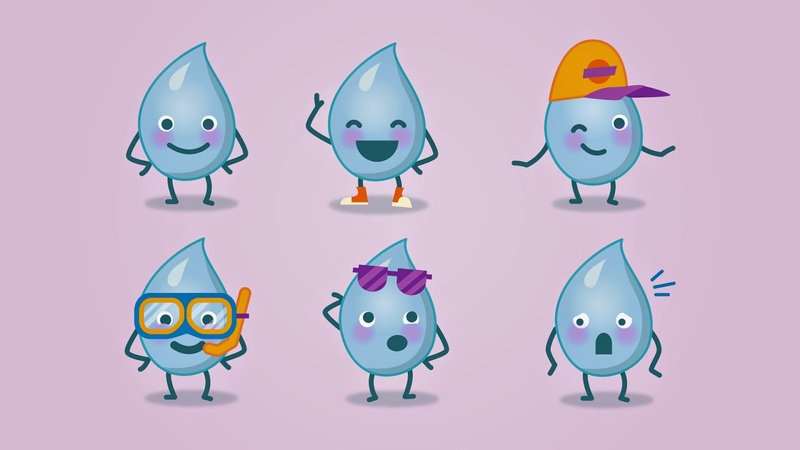 This was a collaboration with Round3 Creative and my role was specifically to redesign, illustrate and animate the water drops characters to be used in a set of educational animations. You can see below a few examples of the characters that were redesigned for an edgier look.